The following sections don't use any VBA within Access, but if you're going to use Access to control other applications, chances are you'll eventually need to use VBA or VBScript within other applications to manipulate Microsoft Access. We'll only spend a very brief couple of pages on these concepts. You can utilize the Access object model from Visual Basic to enhance your Visual Basic applications with Access reports. Before you can write code utilizing the Access object model from your Visual Basic applications, you need to first add a reference to the Access 11 object model in your project's References dialog box. The following code opens an Access report based on prompted criteria and prints it from within your Visual Basic application. 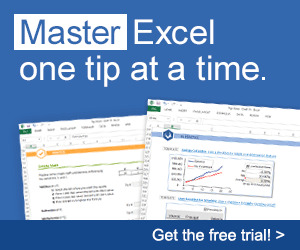 You can even utilize Visual Basic to export information from Access into Excel. The following code performs that export and allows the user to either create a new spreadsheet or add a worksheet to an existing spreadsheet. This method utilizes an ADO Recordset that pulls data from an Access database. You could just as easily alter your code to utilize the Access object model to execute a query to gather this data to export to Excel. Response = InputBox("Please enter the date for the inventory report." & "= #" & Response & "#) AND Location <> 'Deleted');"
Else basErrorLogger.LogAddInErr Err, "Sheeter Report", _ "Export to Excel", "error line"
No matter how you choose to utilize other Office Applications within your VBA code, you're sure to dazzle your coworkers with the rich content you can provide from your Access database.